Well, in my 30 years of teaching I have see sawed back and forth on the math time test. Like you said, any math guru will TRY to convince you not to use them, but how do you check if they know them is always my question. So with that said I have tried Rocket Math, Mad Minute, and just plain old time test twice a week. I don't know what the answer is, but I do know that the kids never seem to have them when they go on to 3rd grade. I think what we are lacking in is the number sense they need to be able to retain these facts. Hopefully someone will have a great idea!! Yes Ido from a parent side and teacher side! 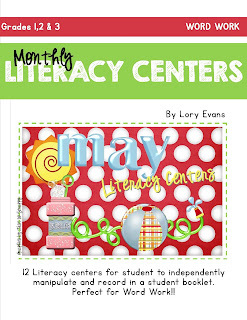 Why would we build literacy fluency and not math fluency?? We play Around the World during spare time and I have used "Mad Minute" tests. Pig Math looks so much easier to organize and user/kid friendly! 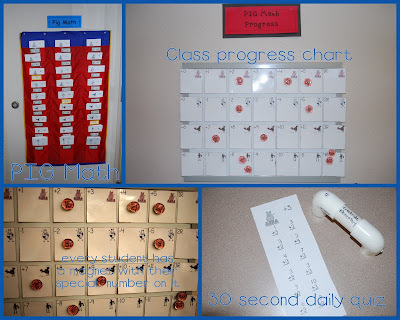 We use Singapore Math and we do timed math as part of our mental math. We introduce a couple of addition and subtraction strategies to aid in this process and make sure the kids attain mastery at the end of a specific term. We've always done timed tests, but we struggle with how to prepare the students for math fluency. 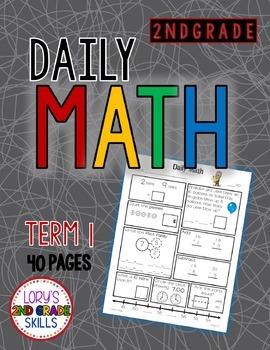 Math Games are always a big hit in our classroom, and we try to focus on using strategies, like Doubles + 1 or Making 10, to help build math fluency. 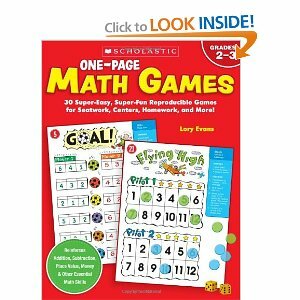 I am definitely going to check out your one-page math games book! 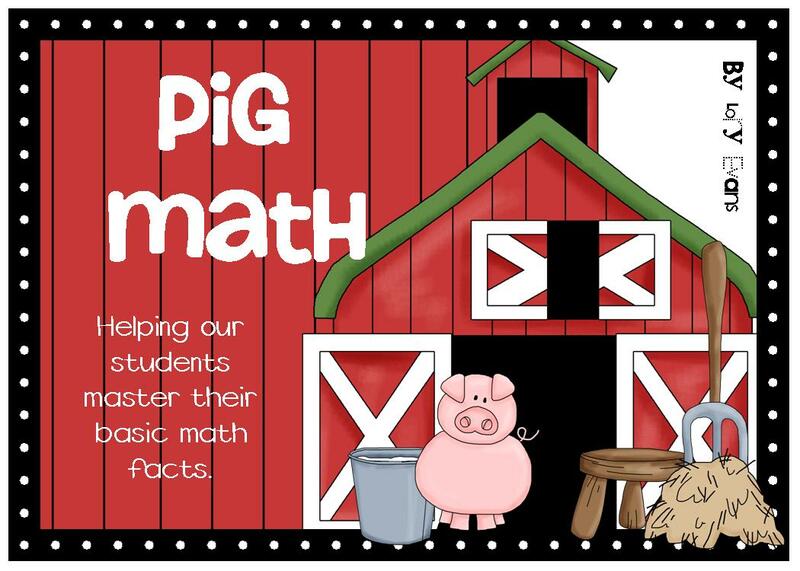 PIG Math- love the name! 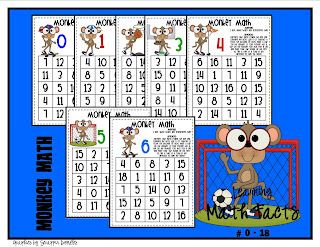 I call my Speedy Facts- my students do addition, subtraction and this year multiplication and division-I'll be teaching Multi-age 2-3. 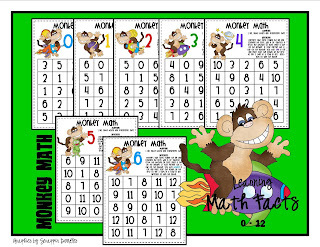 Yes, I do support math fact timed tests-but also stress individual growth, strategies to know facts, and encourage students to set their own goals with each page. My 2nd grade teammates and I started using a free, online website. It is called www.xtramath.org. It is awesome :) It gives the students a placement test and then it has the students practice the facts that they still need to learn. Once they pass, addition then they move on to subtraction and so forth. Students can do it in class or at home. I would definitely recommend checking it out! I am going back to teaching second grade after 13 years in kindergarten! I did used timed tests to help my second graders master basic math facts in the past. In fact, I used timed tests with my own children when I felt they weren't getting enough practice when they were in elementary school! 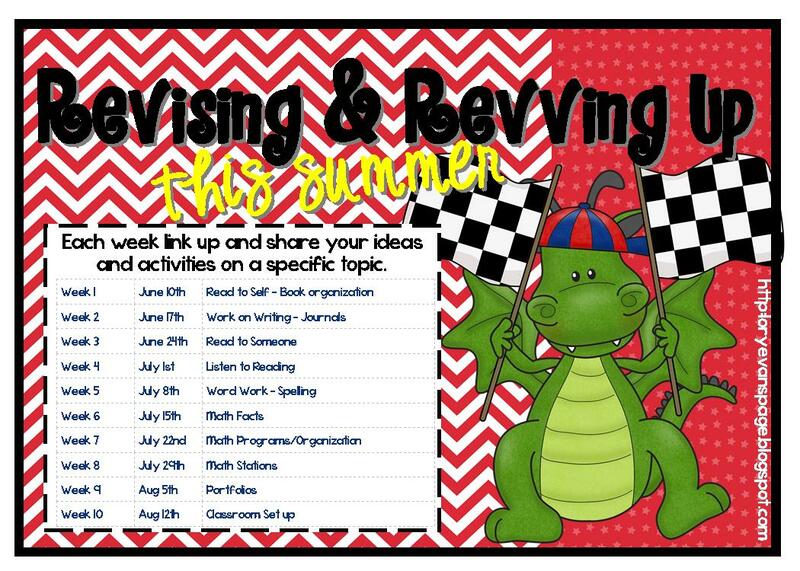 Thanks for your blog, as you are giving me great ideas as I plan to switch gears back to second grade. I do. 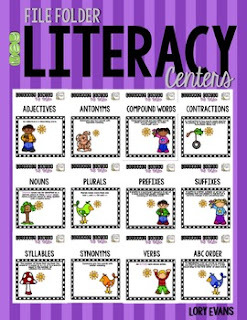 I think learning math facts is the equivalent of learning sight words in reading. It must be done. In the past, I've had the enrichment math group (1st grade) and even they weren't great with their facts. 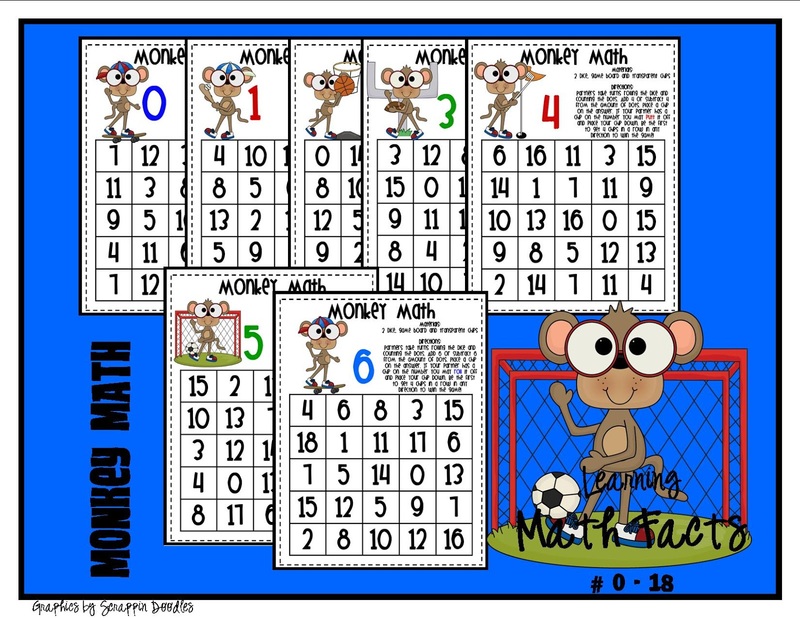 I send home weekly fact practice games for the families to play and also encourage them to use Xtra Math- works for many but some have issues with it. This year I'm taking on our most deliberate learners in math. Pig math looks like it will be perfect with this group. Adding this to my wishlist for sure. Thanks for the freebies! Going to bookmark and read everyone's comments to see what to do this fall, that's for sure! 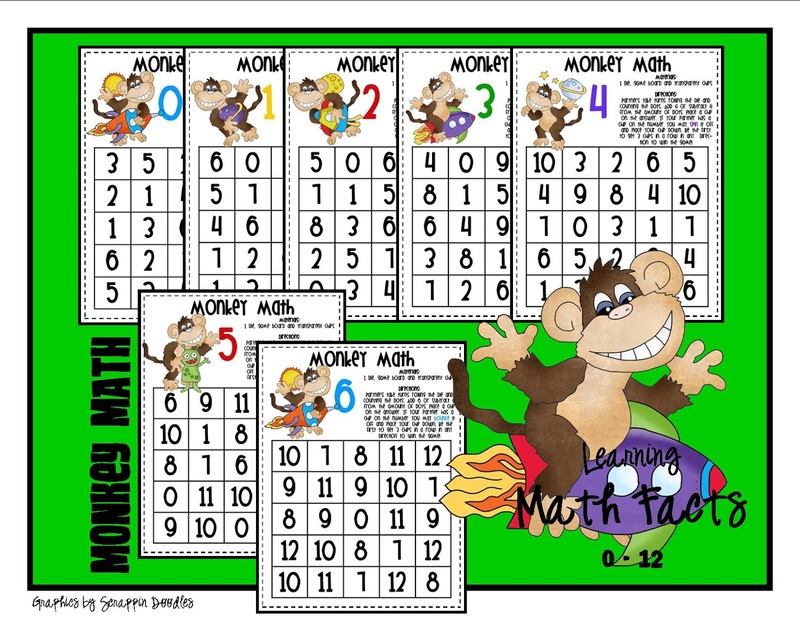 I COMPLETELY believe in having kiddos memorize their math facts....no question! 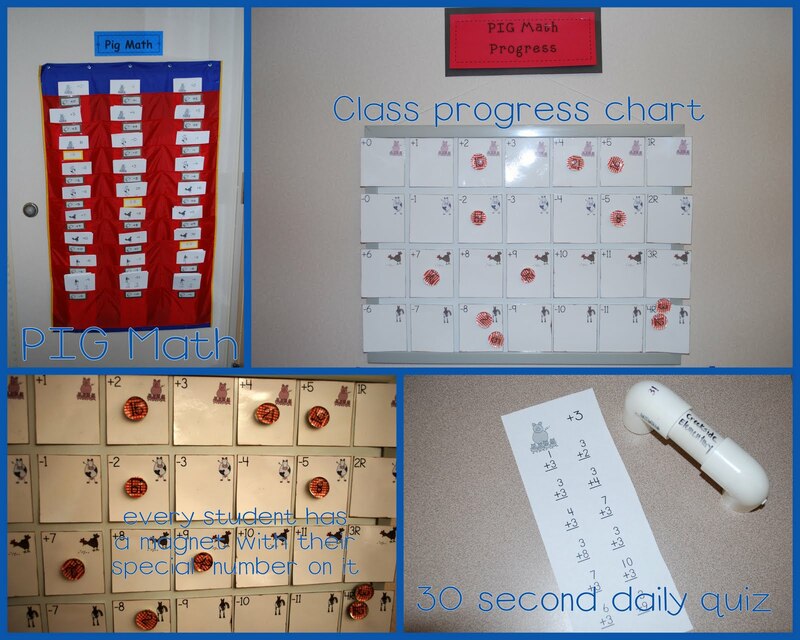 We did bubblegum math this past year with my 2nd graders and they loved it! I have not done timed tests in my classroom, but it is something I have considered. Our Math Lab teacher did timed tests last year with all the grade levels, and she used a program on the computer to track student progress. I think she used a program called Math Magician. The kids could practice at home, but they had to actually pass the test at school in the Math Lab. It was an interesting way of doing it, but a LOT of work on her part. I don't know if I would want to do something like that, to reduce paper, or have paper tests. The nice thing about paper tests is that all students could do them at the same time. I like the idea of having some students do multiplication tables, if they pass the other tests, but I am concerned about teaching them multiplication unless they are able to use their addition facts to solve 2 digit problems. I guess that is something I will have to work out for myself!!! We do timed math tests in my first grade class. I DO believe in having kids memorize their facts, but I think it's most effective when there's a low stress/fun/systematic way of doing the timed tests and documenting progress. 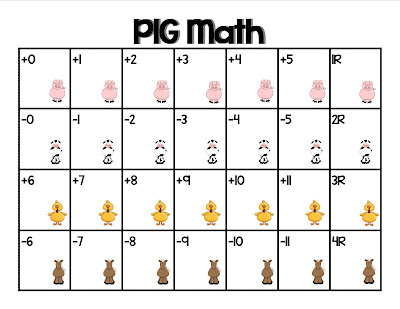 That's why I LOVE piggie math. I can't even remember where I heard about it- it's been a while. 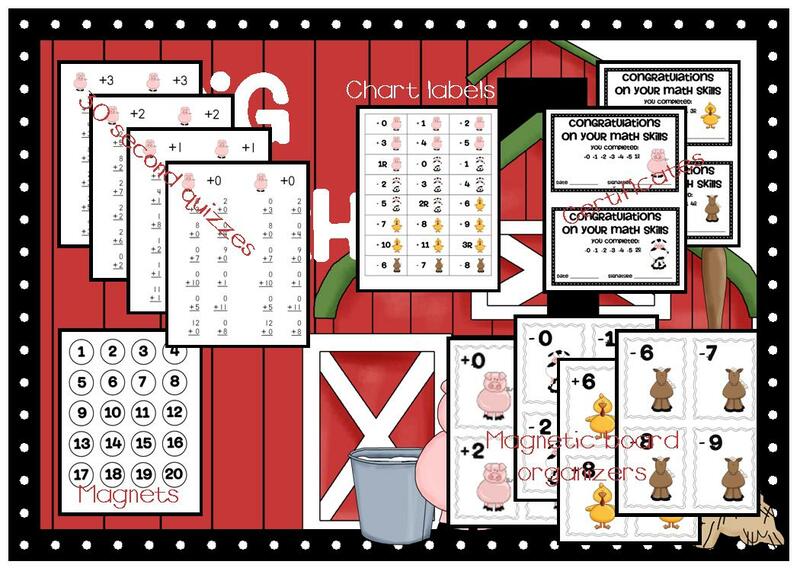 When I announce "piggie math time" my kids are allowed to make as many piggie noises as they can for about 15 seconds- it makes them laugh and I think it helps with test anxiety. I don't like the way that I pass out papers- too time consuming so I'm looking for a more efficient way. After grading, I recognize all kids who beat their previous score...this way, even if a child didn't progress on to next level they feel success. 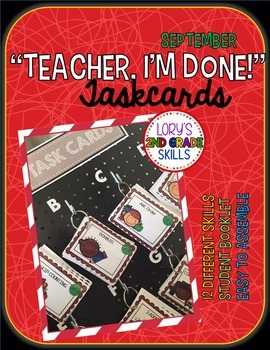 I am going into my second year teaching second and I am planning on doing timed tests this year. My kids last year were really lacking in knowing their basic facts! 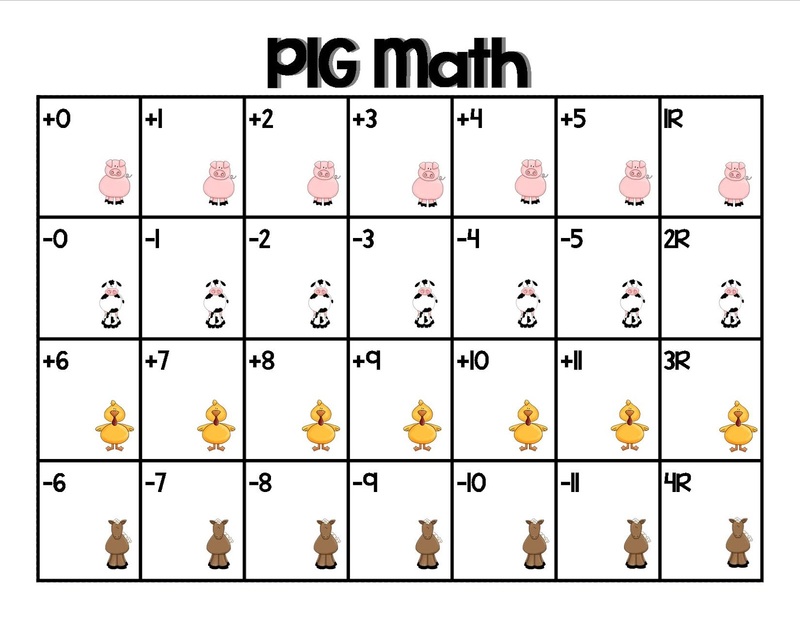 PIG math looks like a great system! I have used timed tests for the last 5 years with huge success. The children compete against themselves. I have a poster chart with all of the students' names and a place for the date of the test. 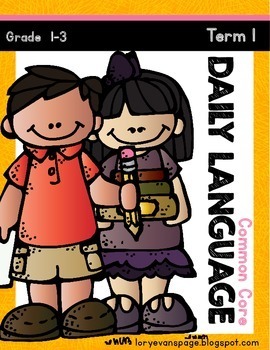 After the test we swap papers and together the whole class reads each problem and answer. The students mark an incorrect answer with an X. Papers are then taken up. I take the papers to the chart and write how many each student got correct. The whole class cheers whether the student increases his/her total or not. Sometimes there are treats involved for instance if the whole class increases their total. There could be sticks with numbers (up to the total amount of students, pull a stick, if that amouont of students increased their total, give treats to everyone. This way students are encouraging each other. I love using the timed tests. 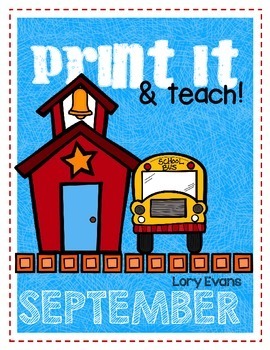 This will be my second year of teaching 2nd grade. 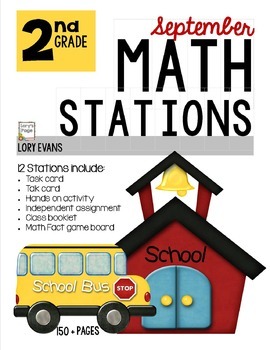 Last year most of my students really struggled with basic math facts and counted on their fingers like crazy!! 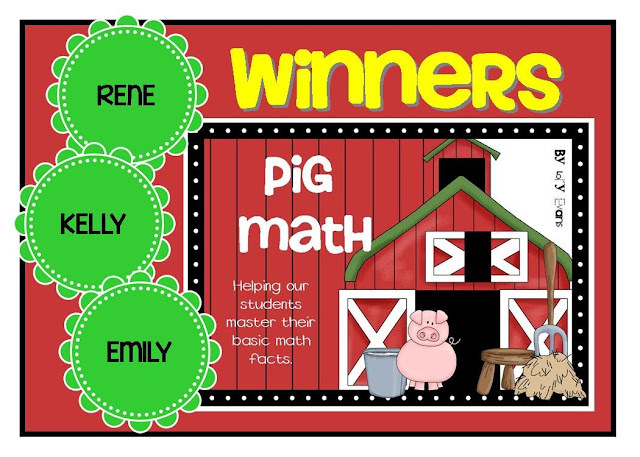 I am interested in trying Pig math to see if I can help them improve their math fluency. I totally believe in kids needing to memorize math facts and being held accountable for knowing them with fact drills. I believe in memorizing mathfacts. I try to take a few minutes a day to practice with my class. We often use a ball. I ask a question, throw a ball and the one who catches it has to answer the question. 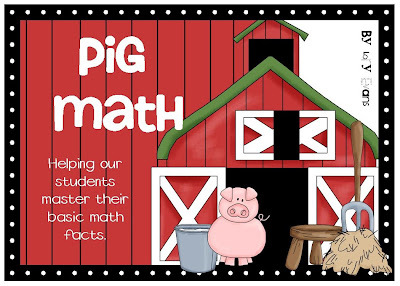 Your Pig Math sounds great! I would love to try it! Thanks Lory!!! 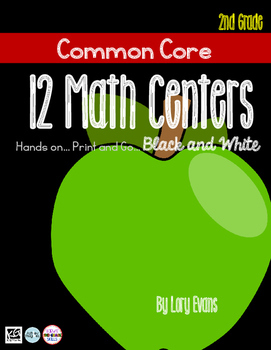 I can't wait to use this packet this year!